Sweet XO Good Grief is a sweets select shop located along Takeshita Street, the hub for Tokyo’s youth culture and Harajuku’s most renowned spot. 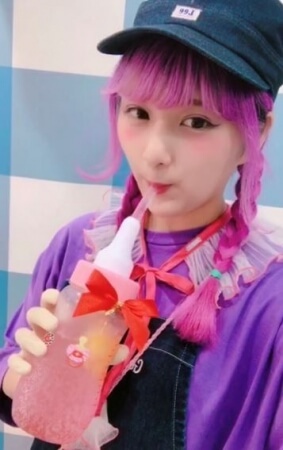 The shop has teamed up with Shinako, a Harajuku-style YouTuber who works in Harajuku, to create the new Baby Bottle Soda which will go on sale from June 23. These cute and fun bottles contain cotton candy and colourful jelly mixed with soda. 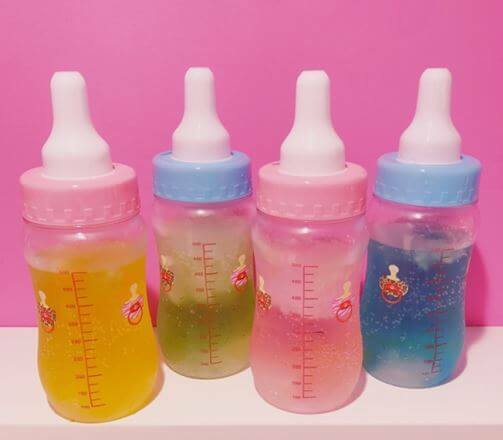 You’re free to choose from 6 different cotton candies and 4 jellies to create the ideal baby bottle soda for you, one that’ll look perfect on your Instagram page as a memoir from Harajuku. If you’re looking for vibrant and fun sweets then look no further than Sweet XO Good Grief. Pick up a refreshing baby bottle soda for the summer heat and take a trip down Takeshita Street.